In the ever-evolving world of compliance and risk management, it is a constant challenge for infosec, compliance and audit professionals to keep up with shifting of regulations and standards. Adapting to changing needs, countering new risks and meeting expectations of evolving guidance is daunting. What often fails to change is the approach companies take to achieve these evolving objectives. As part of planning, reassessing the tools and approaches available can provide opportunities for modernization, speed and efficiencies. Are you still using spreadsheets to manage your compliance programs? 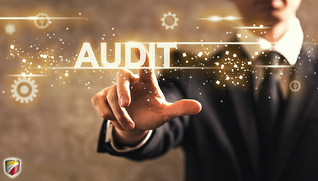 Are you using email or chat programs to manage your audit evidence or approvals? Are you going through the same steps, time and time again, to collect data and execute your procedures? Make room for value-add activities that can re-center infosec, audit and compliance in the strategy of organizations, large and small alike.